The best commercial tile and grout cleaning Bristol service ever. Are the tiles in your commercial building starting to look faded and non reflective, are your grout lines looking disgusting (don’t worry you’re not on your own, we get lots of calls regarding dirty horrible grout lines) and your fed up with your commercial tile and grout cleaning Bristol and getting nowhere scenario. If this is you then get in contact with CleanAndSealUK.co.uk, we will make sure your commercial tile and grout cleaning Bristol is so good that you refer us to every person and company you know, you will be stunned with the commercial tile and grout cleaning Bristol finishing we can achieve. Professional tile cleaning for the UK. Wherever you are in the UK, remember that you are never far away from one of our professional commercial tile cleaning experts. Our professional tile cleaning experts can transform any commercial floor tile from old and drab into what it once was. You will be bowled over with our commercial professional tile cleaning. Our ceramic tile floor cleaning and porcelain tile cleaning services will leave you speechless. So if you are looking for a professional tile cleaning company that gives you guaranteed results contact us now. Commercial tile and grout sealing Bristol. If you’re considering having your ceramic tiles or porcelain tiles laid in your commercial property, CleanAndSeal know the best way to keep them protected and can make sure the grout lines stay the colour you want, so you don’t gradually get those old, grubby looking lines. Tile and grout sealing is a must if you want to look after your investment, but make sure you apply the correct commercial tile and grout sealer. We have seen so many tiles and grout lines ruined by either not sealing, cleaning with the wrong commercial tile and grout cleaning products or sealed with the wrong tile and grout sealing products. With years of training and experience, CleanAndSealUK have developed the knowledge to be sure of the best way to seal every type of commercial tile – that’s why we should be your first choice when it comes to commercial tile and grout sealing Bristol services. We always guarantee brilliant results, and ensure that you, as our customer, are more than satisfied with the results. The very best tile re-grouting and grout colouring service for any commercial property in Bristol and Bath. If your grout lines look like they have been through two world wars then it just might be time to get your grout lines restored to how you want them to look. There’s nothing worse than having really great looking tiles and really dirty looking grout lines. We have been removing tile grout and applying colour grout sealer on our customers commercial floors in Bristol longer than any of our competitors. If you want your commercial tiled floor regrouting let us know as this can be a very messy job and also can be harmful to your health if you are not using the correct personal protective equipment. Are you fed up with the tile grout colour and want it changed? this can be done with our grout colour seal, it comes in different colours and can enhance the look of any tile grout lines, this is a cheaper way of having your grout restored. 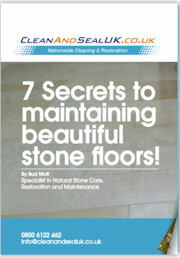 Make sure you contact CleanAndSealUK for all your commercial tile grout colouring and tile re-grouting in Bristol. Just fill out our quick and easy form or call us on free phone 0800 612 4424 to get a FAST quote from us.